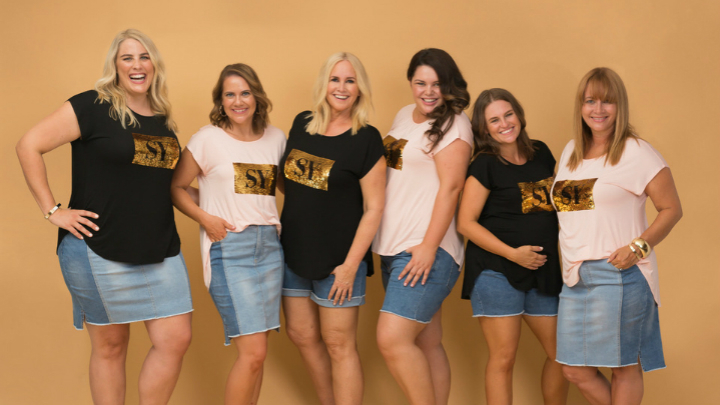 Brisbane-based fashion brand Styling You has announced it will donate $10 from the sale of every Nikki sequin SY logo t-shirt to The Lady Musgrave Trust. Nikki Parkinson, the face and brains behind the brand, says she’s always supported charities that have a connection with women in the community. “Just before launching the Styling You label, I knew that I wanted a percentage of the proceeds of this T-shirt to go to a charity that helps women in our community,” she says. “And then I discovered The Lady Musgrave Trust, and it really struck a chord with me. Nikki started Styling You as a blog nearly 11 years ago, launched the online store three years ago and this year kicked off Styling You as its very own label. “Styling You has grown off the back of a really beautiful community that comes together to feel more confident, to find confidence in their style and have that support of other women,” she says. “At the heart of it, I talk about women and confidence through what they wear all the time but there’s a whole sector of our community who don’t necessarily have access to find that kind of confidence. The Nikki sequin SY logo t-shirt comes in two colours – black and blush. “It’s made from super soft modal and has a curved hem for a flattering fit whether worn tucked in or out – so it’s a tee that people can feel good about buying, but it also feels great to wear,” she says. Get your Nikki sequin SY logo t-shirt here. What really causes homelessness for women and their children?